French President Emmanuel Macron is visiting New Delhi in December this year. The visit is likely to witness key initiatives in strengthening strategic and trade ties. New Delhi (Sputnik) — French President Emmanuel Macron will be visiting India on December 8 for the first time since assuming power. 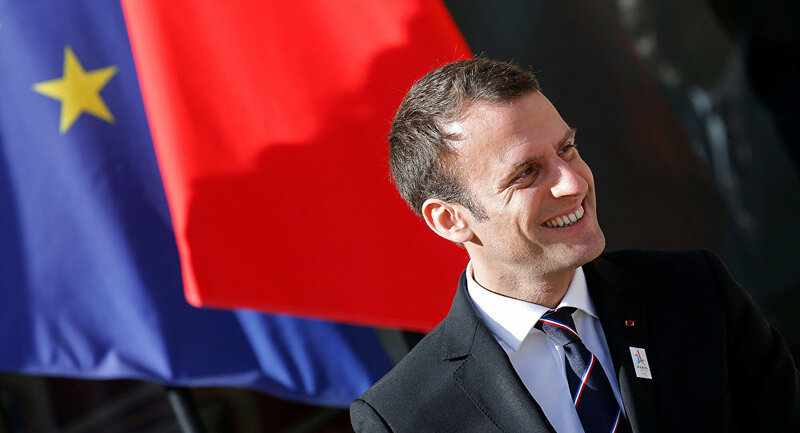 French ambassador to India Alexandre Ziegler said on Wednesday that Macron is set to discuss "various issues of mutual interest with the Indian leadership." Ziegler was in Chennai to inaugurate the first non-stop flight between Chennai and Paris. The non-stop flight service was launched as part of bilateral efforts to enhance the two-way flow of tourists. “While we are keen on attracting more and more Indian travelers to our country, it is a positive step in increasing their volume,” French ambassador to India Alexandre Ziegler said after inaugurating the Chennai to Paris flight. Meanwhile, India is looking to attract more investment from French companies. French automobile company PSA has already entered a collaboration with India’s C K Birla Group to manufacture cars in the country. “There will be discussions on economics, strategy, smart cities, renewable energy, and other aspects,” the French ambassador said about the President’s upcoming India visit. India and France are strategic partners. Both countries are cooperating in various fields, including nuclear energy. The upcoming visit of President Emmanuel Macron is expected to provide a new direction and dimension to Indo-French relations.